The wonderful Tatsu Aoki and Asian Improv aRts Midwest is helping me produce a show featuring the full repertoire of my work, including a preview of a new collaborative piece! 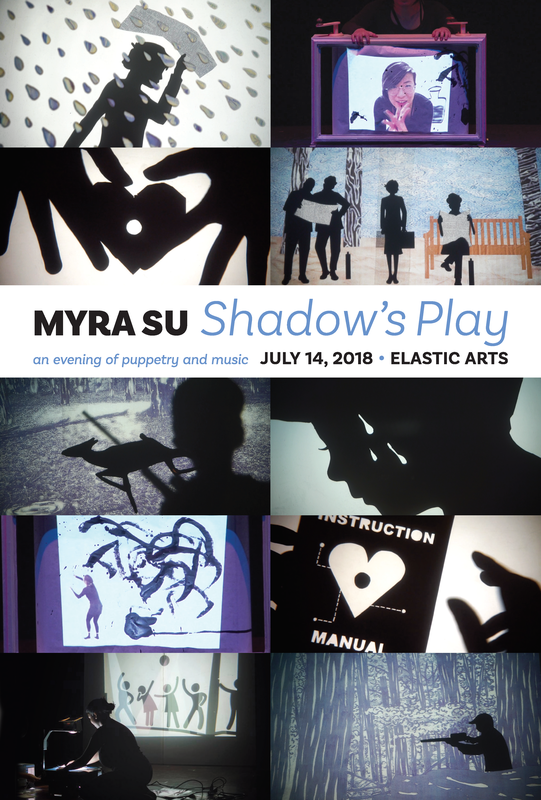 For the first time ever, Myra Su will be performing a full repertoire of original work along with a brand new collaborative piece with renown artist/creative musician Tatsu Aoki. Join us through a myriad of worlds and stories, into a city made out of paper, a boy on his first deer hunt, a journey through heartbreak, and an inky face-off between creator and creation. 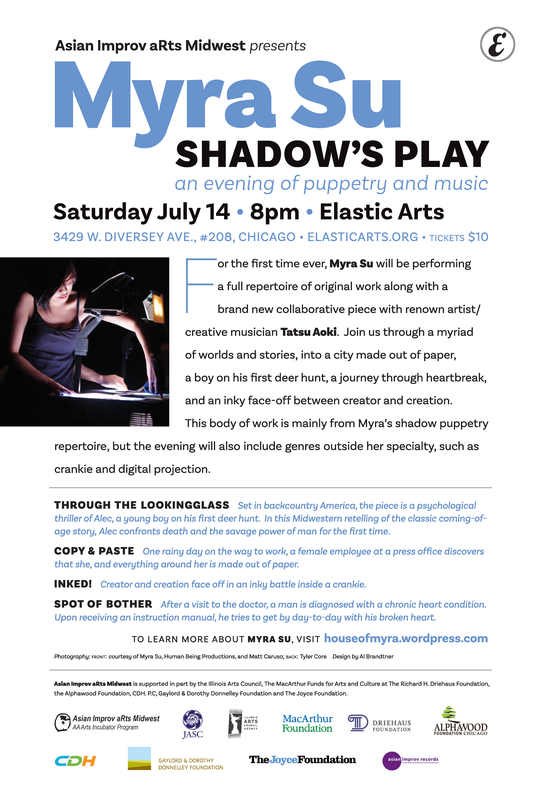 This body of work is mainly from Myra’s shadow puppetry repertoire, but the evening will also include genres outside her specialty, such as crankie and digital projection.